sleeping tablets what help can you suggest me? With depression as with any problem, we want to know when the problem started. If it comes and goes, we want to identity the triggers that start it and end it. This information is very helpful in getting to the root of the depression to do EFT tapping. Tapping on each trigger and the energy block (information in the form of emotions, memories of events, negative belief, etc.) associated with the depression is a good place to start. Associated information will arise from your subconscious mind as the intensity of the thing you are tapping comes down, provided you are observant and open to seeing this information. A trigger is anything, tone of voice, image, memory, place, person, gesture, smell, words, etc. that was present in the originating trauma/conflict and now serves as an reminder, or instigator, to the fact there is healing needed in that area. It is the finger that points us to the root cause. Often hopelessness and despair show up. These emotions may be difficult to release on your own if you are gripped by them, and therefore, will need help, as they and all negative emotions indicate we are believing things about our "self" and life that are not in alignment with spiritual truth. Since you suspect that heredity may play a part, I would suggest you look at anything that was shocking that happened to your mother or father when you were in the womb and take a look at what it was that made your uncle depressed. The clients that had depression that I have helped had trauma or major change in their life and self-identity. One was suddenly moved from location and her life-long career (which she identified with) taken away and was given a job she considered beneath her. Another believed she never got what she wanted and had lost “everything good in her life”: she was doing excellent in school, was a cheerleader and participated in an activity she loved, but that stopped due to major changes in her life. When this happened she lost her sense of self-identity and went into depression. Another saw themselves as being an excellent guitarist and when he started music college this perception was shattered as he was faced with coursework that was too difficult for him. In each case, there was a sudden sense of lost self-identity. They had identified themselves with what they did (their actions and behavior). We worked on this to help them recognize that what they thought they were was simply what they did and not their true self. What we do changes. If there is identification we suffer loss when that happens. 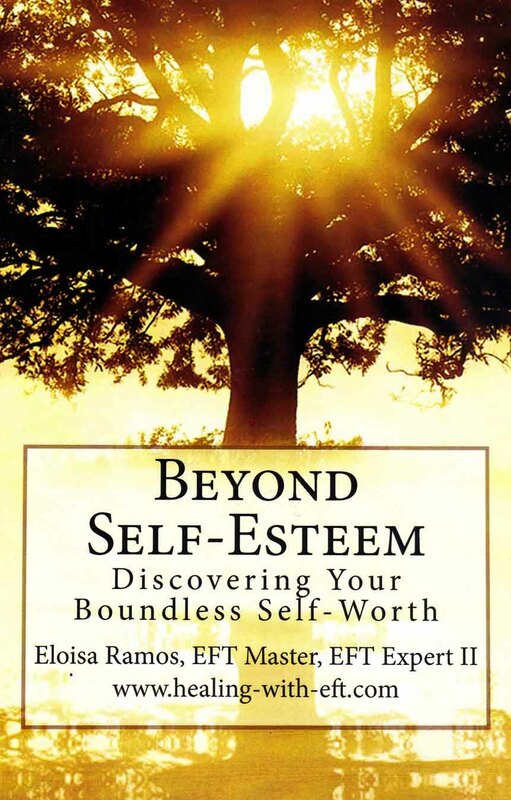 For further information see my book: Beyond Self-esteem: Discovering Your Boundless Self-worth. There may be something else underlying your depression, I don’t know without speaking with you and even then, it may take persistent tapping and a sincere desire to know the truth to get to the root. Sometimes allergens can trigger depression or a strong belief that one is unworthy and undeserving of happiness. Join in and write your own page! It's easy to do. How? Simply click here to return to EFT Help with Questions.